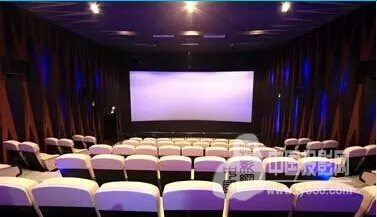 First Financial Daily Online looks at how it is possible that two cinema seats next to each other for the same film might cost one person 100 yuan while the other paid less than 10 yuan. Yes, it is our favourite topic of micro-channels (BAT – Baidu, Alibaba and Tencent, plus their smaller competitors) and their cut-throat cinema ticket subsidy competition, which will take up most of this week’s Digest. An online ticketing site, told reporters that the party subsidies generally into three categories, the first category is the online ticketing website, in order to grab the market they will come up with some subsidies. The second category is the brand partners, such as some banks to promote consumer credit card and other purposes, will come up with ultra low-cost subsidy to buy movie tickets credit card. The third category is the producers took part Xuanfa own expense to online ticketing website to achieve the increase in attendance, thus promoting the theatrical piece purpose of improving the rate of discharge. In the crazy subsidies, theater listing price of 40 to 100 yuan movie tickets have been reduced to 10 yuan level. China Culture Daily draws an analogy with how 20 years ago Wal-mart and Price Club would sell DVDs for USD $4.99 that cost them $15 to buy from distributors and that this pushed video stores like Tower Record out of the business. “Later, the producers and distributors found that not only had the traditional channels collapsed, but the psychological pricing level expectations of consumers is also reduced. ” CCD also points out that in the US, online cinema tickets are not allowed to be sold below retail cinema price and only a small ‘service fee’ added on top. Good analysis showing that the Chinese industry and media are fully aware of the dangers of unfettered online cinema ticket price wars. China Network is also worried about the long term implication of cheap micro-channel cinema ticket offers. Jinling Evening News‘ reporter visits the local cinema and samples what sort of cheap deals can be had on your smartphone for various films: “Paddington” in 3D for three people – 29.7 yuan, “Dragon Blade” in 3D for three people – 40.8 yuan. Almost nobody at the cinema was buying tickets at the regular box office counter. Sina Finance is looking at what is driving the willingness to throw money at cinema ticket subsidies. By doing active users assessments of the market, the market value, and further attract venture capital, such as PE (Private Equity investment). Once the investment risk is not good, then the money is wasted, so the subsidy depends on the strength of the enterprise, if an enterprise development to the extent of the burn, that is the “commerce”. 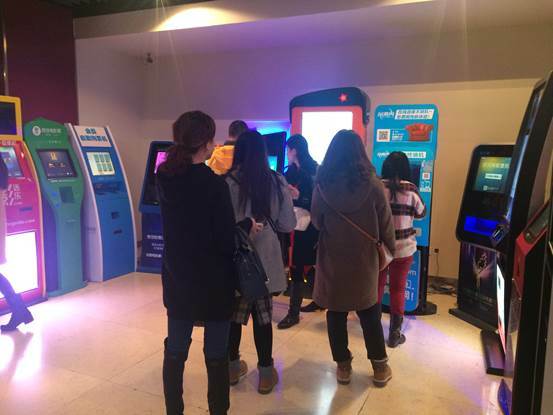 Of the three BAT micro-channel e-commerce majors (Baidu, Alibaba, Tencent), Baidu has been the most aggressive in subsidising cinema tickets recently, launching a special 3.7 yuan (USD $0.59) deal only for women on March 7th (3/7), tying in with the Women’s Day weekend. Girls section 3.7 in full swing, today ushered in the strongest peak consumption. 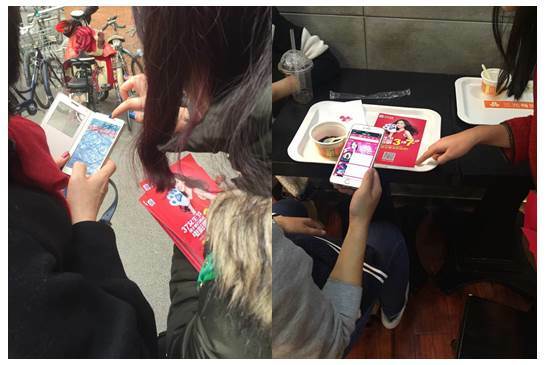 It is reported that Baidu heavy launch section for girls to create “3.7 yuan to see the film” Girls Day welfare packages, March 6 at the warm-up period that ushered in the outbreak. 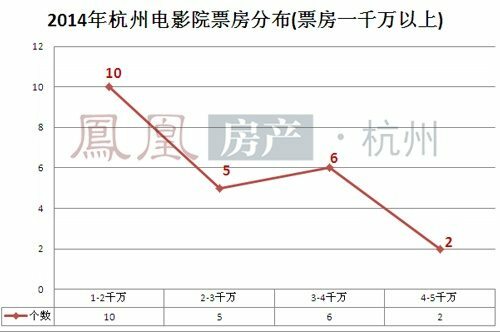 Data show that Baidu rice movie ticket amount in Film, Jin Yi, Stellar and the earth, and many other activities of a large number of cinema theaters has leapfrogged the WeChat, Mission, Cat’s Eye, to rank first. Yet the promotion was perhaps too much of a success, with several cinemas reporting long lines and ticketing machines breaking down. The Chinese Lunar New Year/Spring Festival is somewhat open ended, which this cinema goer found out when he wanted to use his group ticket but was told he would have to pay 15 yuan extra as it was still ‘Spring Holiday’. Now that Wanda Cinema has had its IPO we get more regular stats trumpeting its growth, such as this one proclaiming 22.3& month-on-month revenue growth, hardly surprising given the Lunar New Year festival in February – and a total of 185 cinema opened. 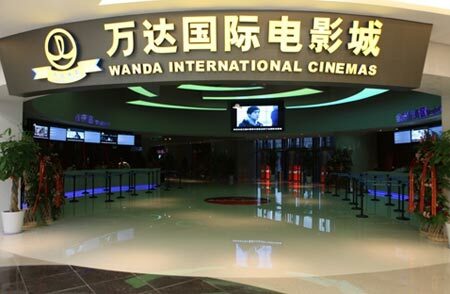 Wanda Cinema March 4 announced in February this year, business presentations, in February, the company grossed 550 million yuan, an increase of 22.3% from January to February cumulative box office revenue 930 million yuan, an increase of 30.4%. Up to now, Wanda International Cinema amount reached 185. Cinema goers were refunded after they had to watch 30 minutes of advertising after a computer glitch. They were still upset that the cinema did not advertise the start of the film time instead of the pre-show advertising block. The film is supposed to be screened, but instead nearly half an hour of continuous playback advertising, what kind of mood would that put you in? The evening of March 1, Lei in Yibin Yibin when people went to watch movies in a local theater, they encountered just such a situation. 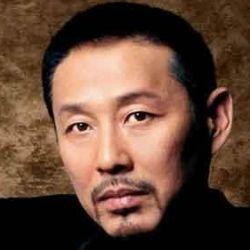 This made Lui very angry, who said, “I never want to go to cinema again.” In this regard, the cinema staff said the incident was due to problems with the computer system, and the staff is not the first time that lead to. Hangzhou has the highest box office average for any Tier Two city in China, yet while cinema buildout has been strong but not excessive, many local cinemas are feeling the pressure of competition. 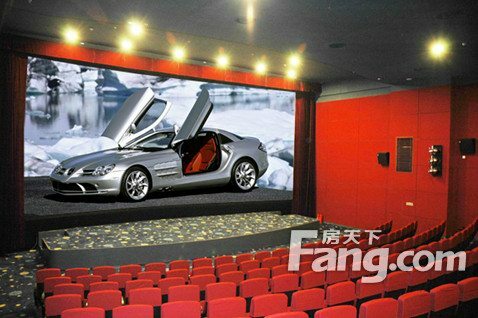 China Projector News is worrying that box office is not keeping up with cinema screen growth. Chinese film at the box office have in recent years led to sustained high growth boom in theater construction investment, for example in 2013 the country added a few more than 5000 screens, and in 2014 a quarter of the number of new screens have been over 1600. 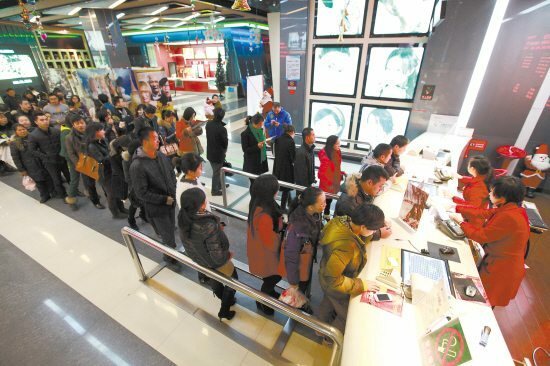 However, the explosive growth of the number of screens at the same time, attendance is not optimistic at this stage in the Mainland China box office growth rate has begun to keep up with the speed of the theater building. Box office is not representative of the incremental operating profit theater has also been upgraded? Liang Hao group said that despite the growing number of cinema box office has gradually risen, but the theater instead of getting thinner profits. “On one hand the development of the film could be sold fast mode, plus the Internet’s intervention, sales channels, and more and less profitable theaters; on the other hand more to build more theater, cinema competition was also prominent. The result of this competition will lead to a price war. “Liang Hao group explained. Apparently few Chinese cinema goers sit through the end credits to catch the ‘Easter Egg’ clips at the end of Marvel and other films that point to future sequels. Staff also usually want to get in to collect 3D glasses or sweep the floors. Beijing Youth Daily’s Xiao Yang worries that they might be missing out on important plot points. China February movie box office up 4.05 billion yuan (about 2.4 billion ringgit), but the actor Chen Daoming, says that just using as the sole criterion for gross domestic product (GDP) is not a national development, the box office is not the measure of a country. The only standard is the quality of film standards. With 3D being much more popular in China than in the US (70% of all screenings were 3D in the multiplex that this reporter visited), questions about how clean the re-used eyewear is continue to be asked. apparently only Wanda provide wet tissues to clean the glasses better yourself. When a 3D visual feast is a stimulating enjoyment, so we ask whether we wear glasses that are sanitised? 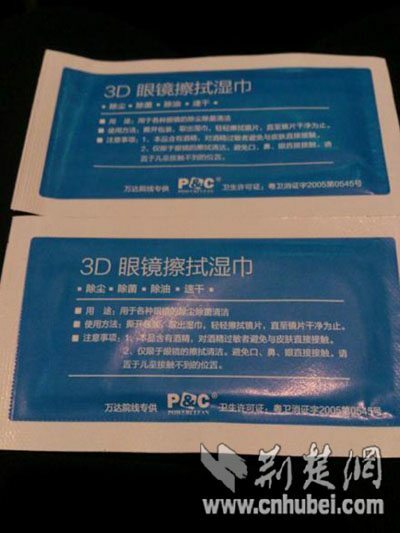 Reporter survey found that out of six theater visited, only Wanda Cinema Han Street had an initiative to provide a 3D viewing glasses wipes, while in other theaters such a service was not provided. File under “Promotional Stunts Gone Wrong”. 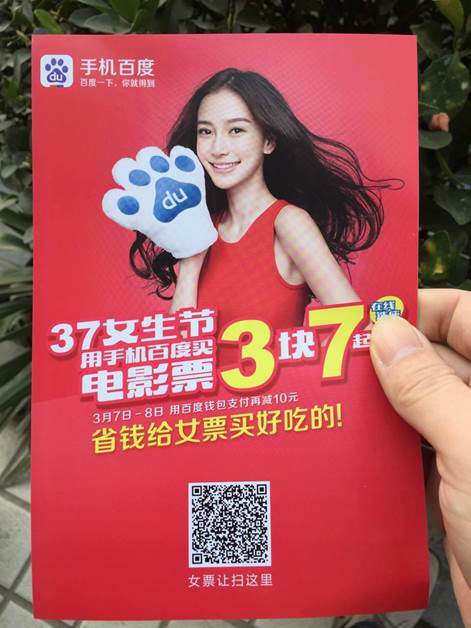 To highlight its 3.7 yuan [USD $0.59] Women’s Day tickets (see above), Baidu had hired a male model to appear in person in a cinema. But one female fan got a little to frisky and ended ripping off his shirt. Or was it part of the stunt all along?